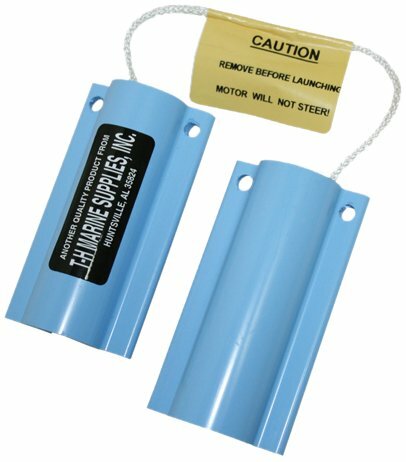 Secures outboard motors to the transom, works on all outboards with wing type screws. EDC coated steel tube locks over the screws making them inaccessible to theft. Includes a pad lock that fits inside the tube making it difficult to cut. This outboard motor lock has two security keys which cannot be duplicated. It has high-security anti-drill protection, and fits up to 1/2" (12mm) engine bolts. 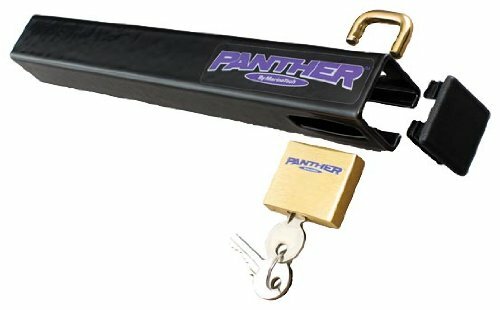 This motor lock is constructed from powder-coated, heavy-gauge carbon steel to offer extreme protection for your outboard. 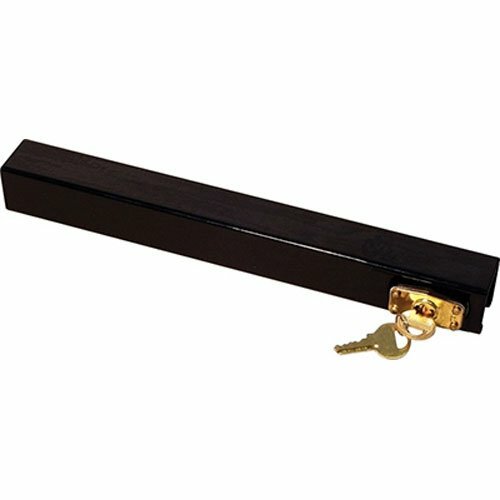 Recessed solid brass lock fits turnbuckle mounted engines. Cut-resistant design features noise dampeners to reduce rattle. Includes two keys. Easy to install. OML 0127 Features: -Made in the USA. Country of Manufacture: -United States. Fulton Outboard Motor Lock - Features Heavy-duty barrel key lock mechanism for maximum security. 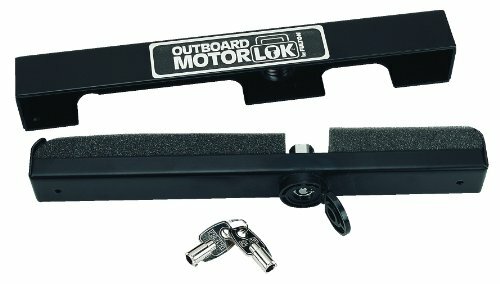 Mounts on most outboard motors. Fits over outboard mounting clamp handles. Foam filler insert reduces noise and vibration. The best protection available against costly outboard motor theft. McGard outboard motor locks are designed to lock the bolt that holds the outboard onto the transom of the boat. 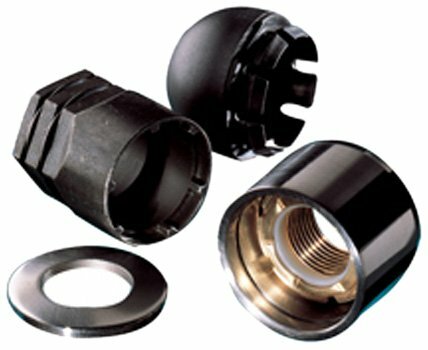 Simply replace one of the mounting nuts with a McGard locking nut. These outboard motor locks are fully machined from high quality stainless steel and are through-hardened. A free-spinning collar turns if attacked by gripping tools. Fits most of the following outboard motors: Honda 8-20 hp, Johnson/Evinrude 6-30 hp, Mercury/Mariner 8-25 hp, Nissan 8-18 hp, Suzuki 8-30 hp, Tohatsu 8-18 hp, Yamaha 8-25 hp (lock may fit some 2 strokes up to 30 hp, verify hole diameter). *Will fit other small outboards with a 5/16" hole in the transom bracket for mounting the motor (stainless steel bolt included in set). This product may contain globally sourced materials/components. 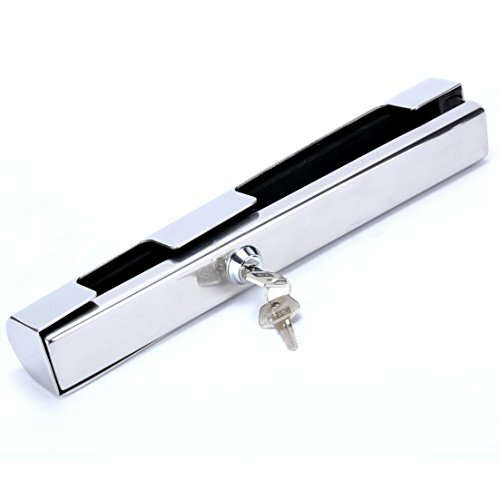 Polished 316 stainless steel high security key locks with anti-drill protection secure outboards to your boat. 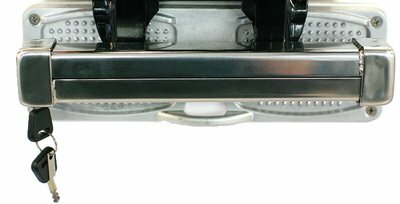 Bolt lock model's backing plate installs under engine transom nut and fits up to 1/2" engine bolts. Noise dampeners reduce rattle. Each lock includes two keys, which cannot be duplicated without 4 digit key card (also included). Master Lock 430DSPT Outboard Motor Lock has a brass construction that offers maximum corrosion resistance. 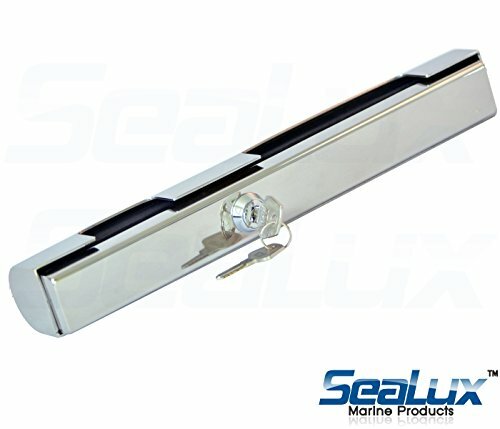 The hardened steel tube has a laminated brass lock body and Marine brass shackle. Securely locks outboard motors up to 40hp. The best protection available against costly propeller theft. Once installed the McGard propeller lock offers 24 hour protection during use, storage and transit. 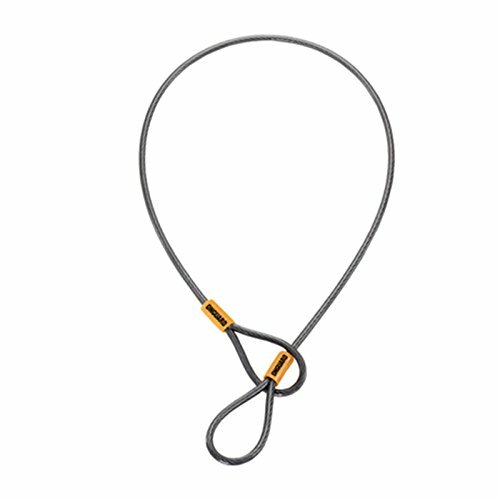 A free-spinning collar will turn if attacked by gripping tools without loosening the lock. Constructed of naval brass and hardened stainless steel for maximum security. Fits the following stern drives and outboard motors: MerCruiser Alpha I, Bravo I (incl. X and XR), TRS, Vazer, OMC Cobra and King Cobra, Mercury/Mariner 70 hp and larger (2 stroke), Mercury 40 hp and larger (4 stroke) (ex. 225 hp 4 stroke before 2005), Optimax 75 hp and larger, Verado 135 hp and larger, Johnson/Evinrude 150 hp and larger (2 stroke). This product may contain globally sourced materials/components. 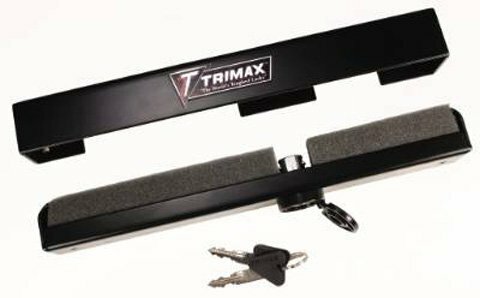 With hardened steel construction and a durable brass lock this device will help eliminate outboard theft by restricting access to the motor. The best protection available against costly outboard motor theft. 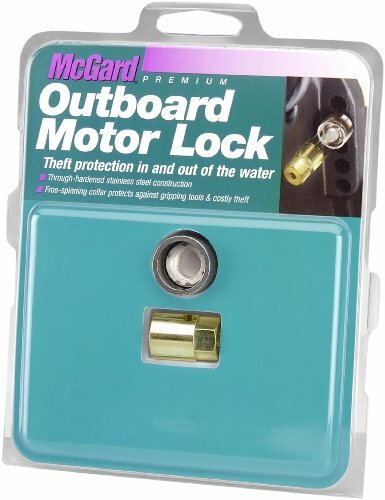 McGard's outboard motor locks are designed to lock the bolt that holds the outboard onto the transom of the boat. Simply replace one of the mounting nuts with a McGard locking nut. 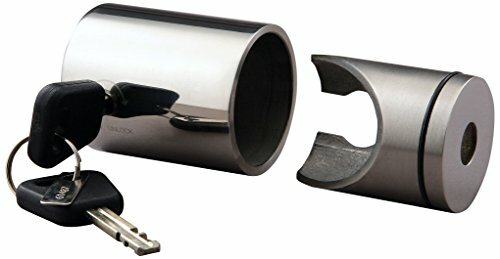 These outboard motor locks are fully machined from high quality stainless steel and are through-hardened. A free-spinning collar turns if attacked by gripping tools. Fits the following outboard motors: Yamaha 40 hp and larger (2 stroke), Yamaha 30 hp and larger (4 stroke), Honda 40 hp and larger, Suzuki 25-140 hp (2005 and newer). This product may contain globally sourced materials/components. 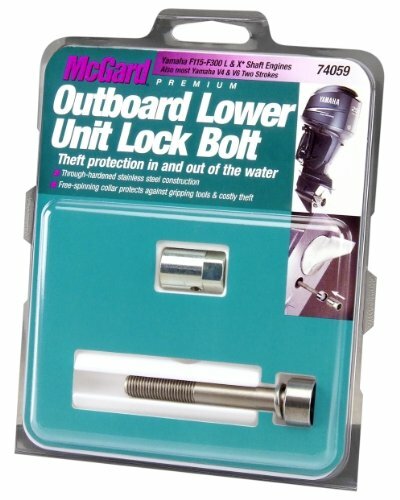 McGard outboard lower unit lock bolt is designed specifically for Yamaha lower units and features a stainless steel locking bolt. Simply replace one of the Original Equipment bolts above the propeller with a McGard locking bolt. Once installed, lower unit lock bolt offers 24 hour protection. Constructed of through-hardened stainless steel for maximum security. A free-spinning collar will turn if attacked by gripping tools without loosening the lock to avoid costly theft. 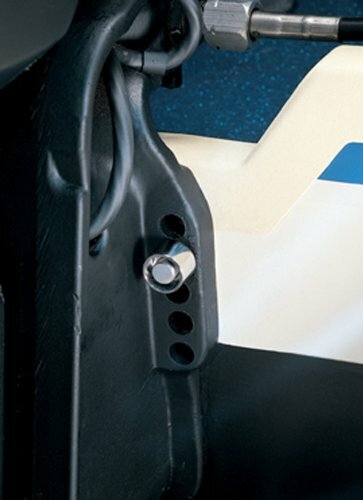 For maximum security, use the Yamaha lower unit lock bolt in conjunction with a McGard outboard motor lock. This product may contain globally sourced materials/components. The Invincible BR52612 Invincible EDC Coated Steel Outboard Motor Key Lock provides the ultimate security for your outboard motor. The lock secures the motor to the transom with wing type screws. The EDC coated steel tube locks over the screws to prevent theft. The lock works on all types of outboards. The best protection available against costly outboard motor theft. McGard outboard motor locks are designed to lock the bolt that holds the outboard onto the transom of the boat. Simply replace one of the mounting nuts with a McGard locking nut. 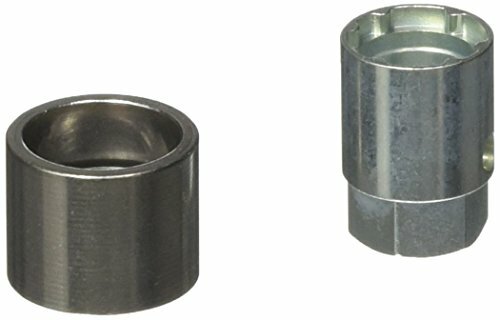 These outboard motor locks are fully machined from high quality stainless steel and are through-hardened. A free-spinning collar turns if attacked by gripping tools. Fits the following outboard motors: Mercury/Mariner 40 hp and larger (2 stroke), Mercury 25 hp and larger (4 stroke), Suzuki 150-300 hp. This product may contain globally sourced materials/components. The best protection available against costly outboard motor theft. 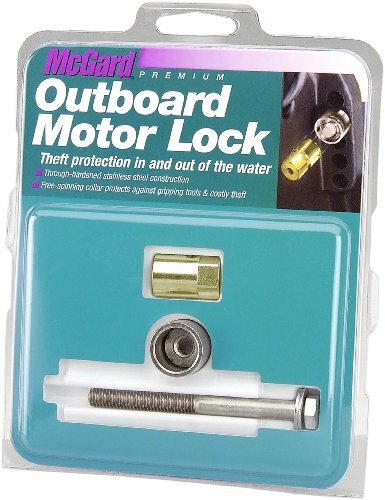 McGard outboard motor locks are designed to lock the bolt that holds the outboard onto the transom of the boat. Simply replace one of the mounting nuts with a McGard locking nut. These outboard motor locks are fully machined from high quality stainless steel and are through-hardened. A free-spinning collar turns if attacked by gripping tools. Fits the following outboard motors: Nissan 25 hp and larger, Suzuki 25-140 hp (2004 and earlier), Tohatsu 25 hp and larger, Johnson/Evinrude 40 hp and larger (4 stroke). This product may contain globally sourced materials/components.